We understand your image on the internet is of great importance and therefore we offer nothing but professional website designs from our talented and very creative website designers. We offer all kinds of website designs from professional holding pages to full corporate websites. Our web designers can provide logo design, graphic design, advice on photography and corporate identity advice to help get you the right representation on the world wide web. Professional Website Designs By Professional Website Designers! Our web designers utilize the latest web standards to achieve richer looking designs whilst still maintaining compatibility with older browsers. Need a mobile phone friendly website design? 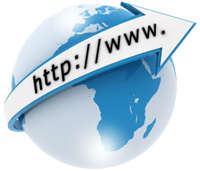 Our web designers can design websites for todays ever growing mobile network. Please take a look at our portfolio to see the quality we have to offer and let us know what our professional web designers can do for you! Your website can be seen on mobile devices but is it optimised for small mobile displays? Is your website touch screen friendly and the text easy to read without users having to zoom right in? 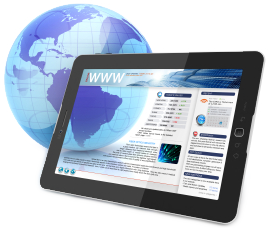 The world is going mobile - so should your website! A mobile friendly website needs to be easy to read, easy to navigate and the pages very small in size to cater for slower 3G, EDGE & WAP networks. If your pages take forever to load, users are going to give up and navigate back to their search. If your text is so small they feel like they're reading with a magnifying glass scrolling over your page, your going to lose visitors. Creating a mobile version of your website is not that hard to do but it is something you must consider since half the population use their mobile devices to search the web. There are software tools out there dedicated to the job that generally don't require any technical knowledge to use such as goMobi which is easy to use and features analytics, WYSIWYG editor for content creation, mobile device detection and much more! Click here for more information on goMobi. Click here to Add goMobi to your AWD Web Hosting account! Don't have an AWD Web Hosting account? Sign up here! Like the content? Why not share! 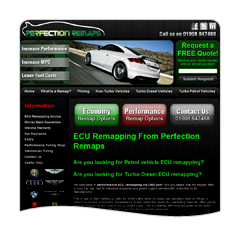 Below is an example of just one of the websites we have built. Visit our portfolio to see other websites we have built.